Keenan Winery produces these Napa Valley wines in traditional Bordeaux style: Cabernet Sauvignon Napa Valley, Cabernet Sauvignon Napa Valley Reserve, Merlot Napa Valley, Carneros Merlot, Mailbox Reserve Merlot, Cabernet Franc Spring Mountain, Syrah Napa Valley , Zinfandel Napa Valley, Mernet proprietary red blend, Chardonnay Napa Valley and Summer Blend (white blend). On the estate, the winery grows: Cabernet Sauvignon, Merlot, Zinfandel, Cabernet Franc and Chardonnay. The following provides a retrospective look at these wine varietals and how each has evolved throughout the history of winemaking at the Keenan Winery estate in the world-famous Napa Valley, California. If you’d like to skip the wine history, or wine education and simply go to our online wine store, that’s fine by us, too! 2001 marked the first vintage in which Keenan Winery had ever produced, a “Reserve” Cabernet Sauvignon. The idea behind the Reserve Cabernet was to make a big and powerful Cabernet Sauvignon from the Keenan Estate that would be worthy of aging, yet balanced in terms of both structure and finesse. The 2001 supplied plenty of spectacular Cabernet. It was an early harvest and the grapes ripened to full maturity without difficulty. After hand harvesting, the grapes were de-stemmed, then fermented in stainless steel tanks for six to ten days. The wines were aged in fifty percent new French and American oak barrels for twenty months. Blending trials for the 2001 red wines began in March of 2003. A composite trial blend of five different Cabernet clones from the Estate showed ripe fruit characters, mouth-filling richness and exceptional structure. Consequently, the blend was set aside and designated a reserve lot. The trials continued, and it was decided that fifteen percent Merlot would enhance the Cabernet Sauvignon blend. The finished wine is an immense, full bodied Cabernet Sauvignon. Enjoy this wine with a rich meal, or allow it to slowly evolve over the next twenty years. The steady, high temperatures of the Keenan estate, on Spring Mountain above the Napa Valley floor, allowed harvest at peak maturity of the grapes. The grapes for Keenan Merlot are harvested primarily from the Keenan Estate on Spring Mountain. It is these grapes that supply the Keenan Merlot with its rich flavor and intense bouquet. The remainder of the Merlot grapes are harvested from select vineyards on the floor of the Napa Valley. The vineyards’ grapes are hand selected to add complexity, and to soften the powerful Keenan Estate fruit. 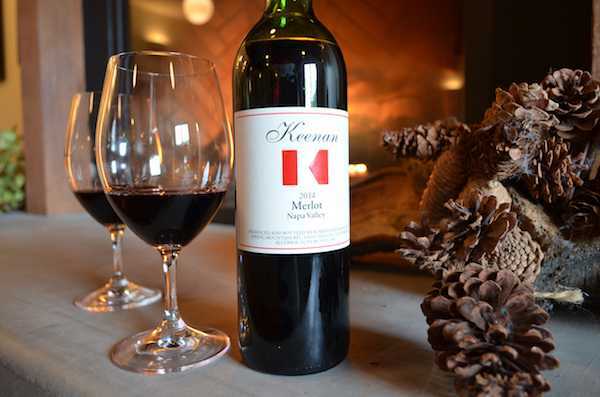 The Keenan Merlot is aged in French oak barrels for 18 months. Final blending is con- ducted before bottling, and seven to eight months of bottle aging is allowed before release. Keenan Winery is located in Spring Mountain District, high in the Mayacamas mountain range above the town of Saint Helena. Fifteen acres of Merlot vines have been planted in the rocky soils surrounding the winery, and it is these vines that produce some of the finest Merlot in Napa. The vineyards are situated above the dense layer of fog that creeps up the Napa Valley most evenings. Consequently, the vines warm up earlier in the morning and stay warm through the night. The combination of warm temperatures, steep hillside vine rows and gravelly soils promotes more stress on the vines leading to increased intensity in the finished wine. 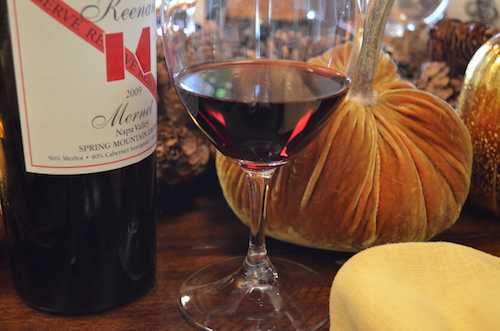 Keenan Merlot is generally composed of approximately sixty-five percent Keenan Estate Merlot with the remainder of the fruit harvested from the Napa Carneros region. After hand harvesting, the grapes are de-stemmed, then inoculated with Montrachet yeast. Fermentation ranges from eight to twelve days before pressing. 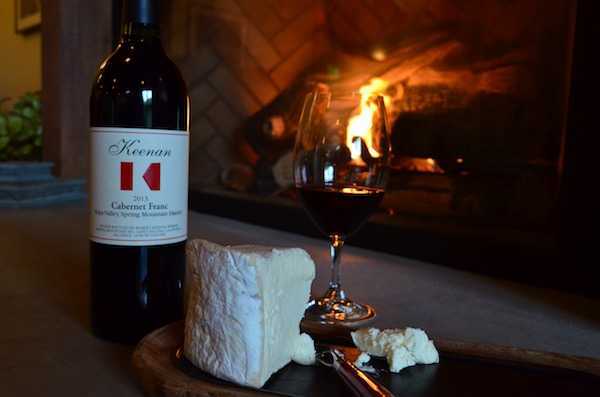 Keenan Merlot is typically aged in thirty-three percent new French and American oak barrels for eighteen months. The resulting wine shows intense aromas of black cherry, blackberry, and cassis. Complex nuances of cocoa and coffee bean emerge as the wine opens up. This is a “big” Merlot that will age for many years to come. The 1993 Cabernet Sauvignon begins a new era for Keenan as this is the first vintage with winemaker Nils Venge actively involved in the wine making process. Nils has aided Keenan in softening the big tannins of our mountain grown Cabernet, while retaining our rich character and full body. Our 1993 vintage shows deep raspberry fruit, layered with hints of mint, spice and tobacco; subtle oak flavors make the wine complete. The 1993 Cabernet’s luscious berry fruit and solid tannin structure make this wine very enjoyable now, while still retaining the ability to age well. Our Hillside Estate Cabernet Sauvignon expresses the concentrated flavors and bouquet that are characteristic of our Spring Mountain vineyards. The wine had a minimal amount of “time on the skins”; Keenan has no problem with extraction from the intense mountain fruit. This Cabernet was aged in French oak barrels for 20 months providing a sweet oak background that integrates well with the ripe fruit characters. The wine was bottle aged for an additional 30 months, creating an exquisite balance of tannin and body. Keenan considers this wine to be a fine accompaniment to rich, full flavored meals. The 1993 Cabernet Sauvignon was made to stand up to the boldest grilled meat entrees, but also has the complexity and spicy character to nicely compliment lighter, well-seasoned food. Although Nils has largely retired from Keenan wine production, he remains a Frequent Lunch Guest “FLG” (notice the back of the wine bottle) and the wines at Keenan have continued to present with increasingly spectacular taste profiles. Keenan first produced Syrah in 2001. The nose of the wine offers aromas of black cherry and blackberry along with underlying floral nuances. The texture is soft, yet the wine maintains wonderful structure. This is a versatile wine that will accompany a wide array of dishes. Keenan Syrah grapes are typically grown in the Coombsville and Atlas Peak regions of south eastern Napa. The grapes are picked late in the season, and then whole berry is fermented in small half ton boxes. After fermentation the wine is aged in French and American oak barrels for seventeen months. Each vintage of the wine offers aromas of black cherry and blackberry along with underlying floral nuances. The texture is soft, yet the wine maintains wonderful structure. This is a versatile wine that will accompany a wide array of dishes. Keenan’s Zinfandel is made up of grapes grown primarily on Keenan’s Spring Mountain District estate. The Estate Zinfandel imparts structure, ripe black fruit and complex earthy nu- ances. Zinfandel grown in Calistoga makes up the remainder of the blend and supplies spice and briary red fruit aromas. Once harvested, the grapes are de-stemmed then fermented in small lots. Primary fermentation typically lasts seven to ten days. The wine is aged in French and American oak barrels for eighteen months. The finished wine shows intense black cherry and raspberry fruit in the nose, while hints of black pepper and vanilla add complexity. This is a rich, full-bodied Zinfandel that will accompany a wide array of foods, but we suggest anything barbecued – smoky barbecued flavor is a great match for the Keenan Zin. The 1996 Keenan Chardonnay was made from select vineyards located on the floor of the Napa Valley. Keenan continues to barrel ferment and barrel age 100% of the Chardonnay production; one-third of the oak barrels used are new French oak. Approximately one-half of the ‘96 vintage was aged sur-lie for five months; this contributed to the remarkable body and unique character of the wine. 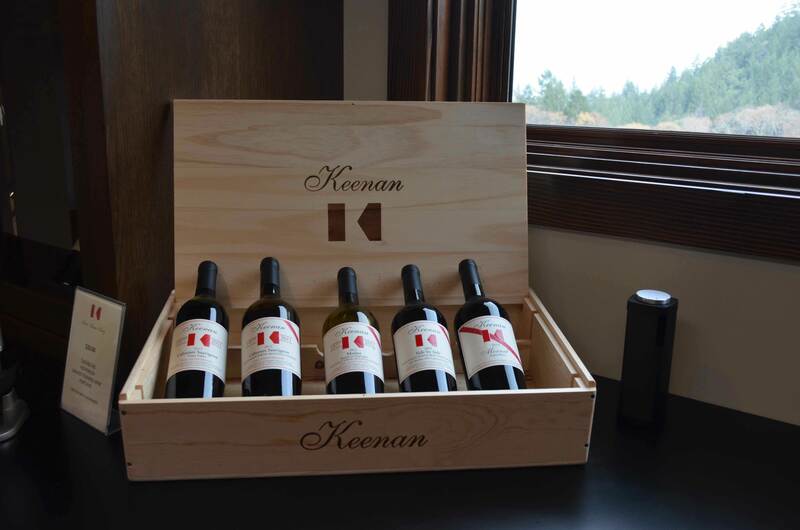 Each Chardonnay vineyard that Keenan utilizes puts forth its own distinctive characteristics, and it is the combination of these characteristics that allow Keenan to create a wine of balanced complexity. Our 1996 Chardonnay opens with luscious pear and apple notes that are blended with a nice amount of vanilla and light oak. The crisp, medium bodied character of the wine is accented with hints of pineapple and citrus, and a toasty oak finish lingers pleasantly on the palate. The Chardonnay vineyards on Keenan’s Spring Mountain Estate were replanted in spring of 1995, and as a result Keenan would not harvest Estate Chardonnay again until September of 1999. In the interim, Keenan has contracted Chardonnay from select vineyards on the floor of the Napa Valley. 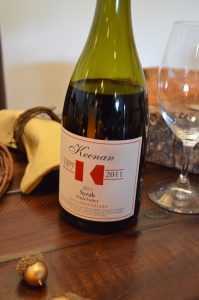 Despite these vineyard changes, this wine continues the Keenan tradition of producing a crisp classic style Chardonnay. The 1997 growing season allowed the Chardonnay grapes to mature fully, and we were able to harvest the fruit at a perfect balance of sugar and acidity. After pressing, the juice was chilled and allowed to settle before being placed in French oak barrels. Yeast was added to the juice and a barrel fermentation lasting ten days followed. No secondary, or malolactic, fermentation was carried out, leading to the crisp, citrus character of this wine. As always, the Chardonnay was barrel aged in approximately one-third new oak barrels, and one half of the lot was left on its lees and stirred weekly. The wine was aged for nine months before it was bottled. The finished wine shows grapefruit and lemon peel in the nose, yet tropical hints of pineapple are noticed as the wine opens up. The sur-lie aging has added complexity to the ripe pear and crisp apple flavors, and plenty of oak character returns on the finish. 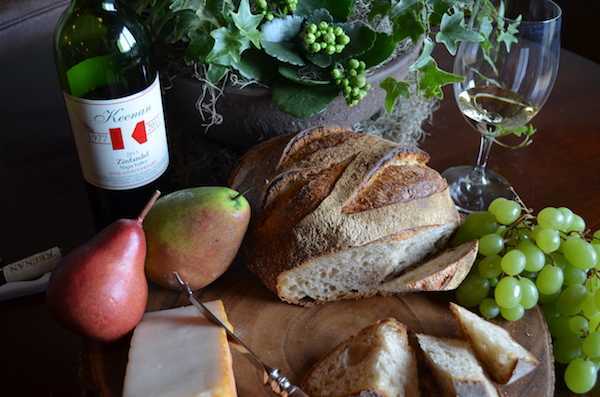 Like all of Keenan’s wines, this Chardonnay is a food worthy wine whose crisp acidity and medium body will ac- company a wide variety of well-seasoned dishes. The 1998 growing season was relatively cool, and grapes were slow to mature. Although harvested later in the season than normal, Keenan was still able to pick Chardonnay at optimum sugar and flavor levels. After pressing, the juice was chilled and allowed to settle before being placed in French oak barrels. Yeast was added to the juice and a barrel fermentation lasting ten days followed. No secondary, or malolactic, fermentation was carried out, leading to the crisp, citrus character of this wine. As always, the Chardonnay was barrel aged in approximately one-third new oak barrels, and one half of the lot was left on its lees and stirred weekly. The wine was aged for nine months before it was bottled. To jump ahead, in 2005, the growing season supplied plenty of warmth to prompt Chardonnay grapes to ripen to full maturity. The fruit was hand harvested, de-stemmed, then gently pressed. Twenty percent of the juice was fermented and aged in stainless steel tanks, while eighty percent was fermented and aged in French and American oak barrels. No secondary, or malolactic fermentation was carried out, leading to the crisp, citrus character of this wine. The portion of Chardonnay aged in barrel was left on its lees and stirred weekly. The wine was bottled after approximately eight months of aging in the cellar. Keenan’s 2015 Chardonnay was hand harvested, de-stemmed, then gently pressed. The juice was fermented and aged in French and American oak barrels. The wine was left on the lees and the barrels were stirred weekly. No secondary, or malolactic fermentation was carried out, leading to the crisp, citrus character of this wine. The wine was bottled after approximately seven months of aging in the cellar. For a number of years consumers and members of the wine trade have urged Keenan to produce a proprietary red blend… So we did. Blending trials began in June of 2001, with separate lots of 1999 Cabernet Sauvignon and Merlot; it didn’t take long to decide upon the two lots that fit together. The favored Cabernet Sauvignon was produced from grapes grown in Oakville, and shows immense structure, dark inky hues, and complex, robust flavors. The Merlot was grown in the Napa Carneros region and supplies soft velvety texture with concentrated ripe berry nuances in the nose. This marriage of two varietals is deemed “Mernet” by winery president, Michael Keenan. The name stems from the two facets of the blend — Mer(lot) and (Caber)net, with each wine supplying what the other may have lacked. The finished wine is a beautifully balanced, full-bodied red wine, that will radiate impressive flavors and aromas for many years to come. 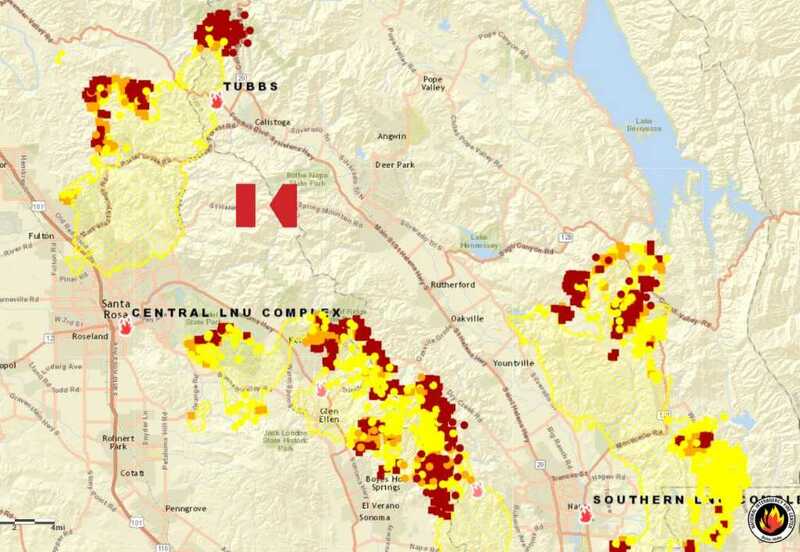 Keenan has purchased Merlot grapes from the Napa Carneros district for many years. The “Carneros” is the southern region of Napa that is closest to the San Pablo Bay and is known for producing high-quality Chardonnay, Pinot Noir, and Merlot. Merlot grown in the Carneros tends to be very fruity and soft with distinctive spicy nuances. Keenan began purchasing Merlot from the Carneros to blend with the estate Merlot grown on Spring Mountain. The two wines are a great match; the Carneros Merlot softens the dense, powerful wines produced from the estate grown fruit. But, in 1999 we were so happy with the quality and distinctiveness of our Carneros Merlot, we decided to bottle a small amount on its own. We continue to bottle a few hundred cases of Carneros Merlot most years. Carneros Merlot shows jammy blackberry and raspberry aromas. Nuances of spice and cocoa emerge as the wine opens. Silky mouth-feel and well-balanced structure allow it to show wonderfully with a variety of well-seasoned dishes.